For over 40 years The Drew League has been a fixture in LA's basketball history - a rite of passage for both local players and pros from around the world. A place where steel sharpens steel and rival gang members disarm to watch the NBA's best right on their turf. At the heart of it all is Dino Smiley. A ball boy turned commissioner. A family man and pillar in the community who has used the league as a means to provide family and opportunity in an area where even life is uncertain. 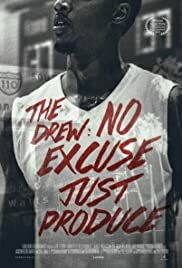 Welcome to The Drew, where the motto is No Excuse, Just Produce.